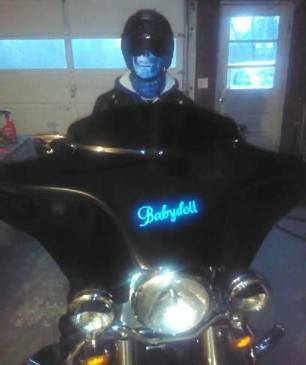 TD Customs presents our own custom painted motorcycle with blue lace effect and electroluminescent paint. TD Customs Motorcycle – Lit up at dusk. 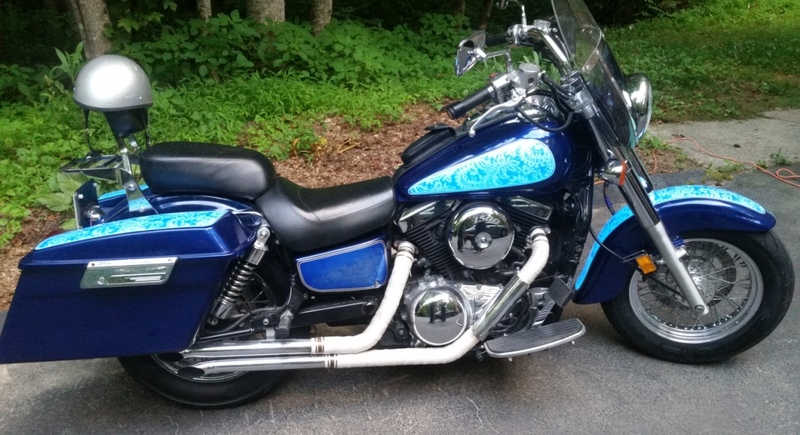 We recently sold our older bike, and bought this newer one – a 2004 Kawasaki Vulcan 1500 from 191 Highway Motorsports. When we were looking at different bikes, we knew we wanted one with a large tank and hard bags that we could paint to really stand out. This one is bigger and more comfortable, and of course got a brand new custom paint job right away. Our TD Customs Motorcycle is all about the paint. It is painted to match the El Camino, with the same custom mixed blue paint, and the matching lace pattern on a silver base. Except on the bike, all the lace areas light up with an electroluminescent, light up paint called Lumilor. Daytime look. 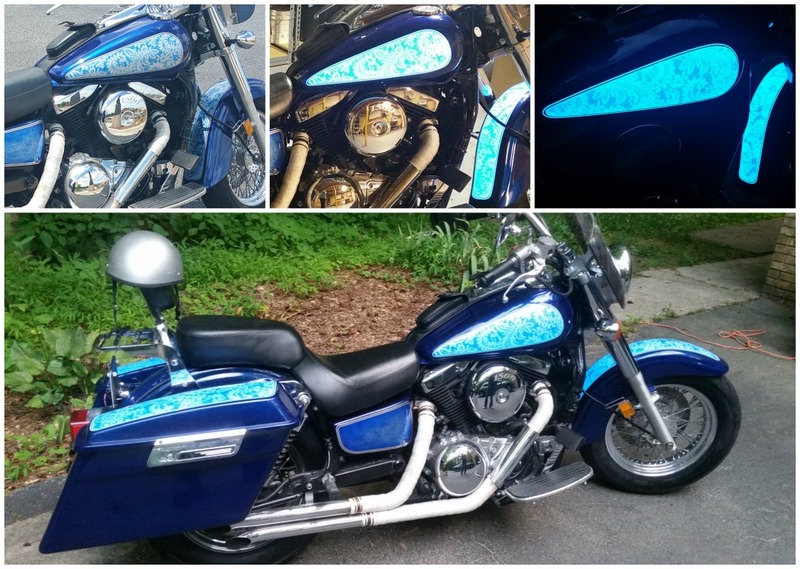 Custom motorcycle paint job, with Lumilor turned off. Lumilor is an electroluminescent paint system that essentially lets us turn any object into a light bulb that is controlled with a simple switch. There are conductive materials in the paint, wires attached to the paint, and then we have 2 small inverters hidden in the saddlebags that power it. 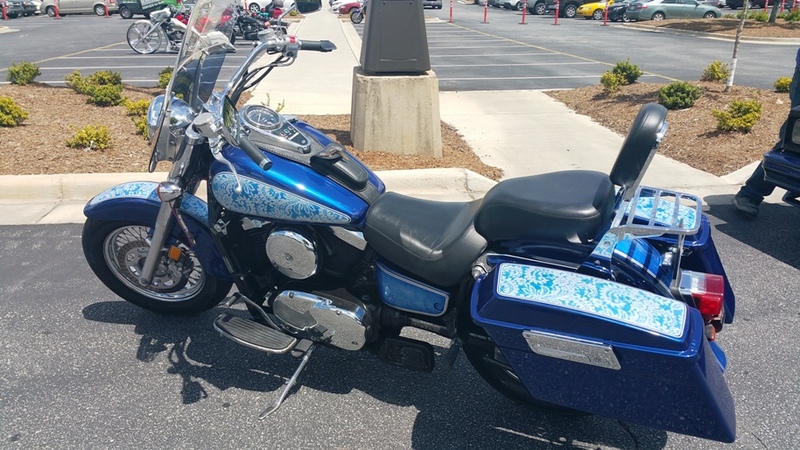 We can turn it on while we’re riding in the evening and at night, and have it off during the day, showing off the blue lace top coat paint job. Electroluminescent paint is applied as a process of coatings rather than just a simple coat of paint. Lumilor paint jobs have a very strategic application process. Each layer sprays on like regular paint, but since there are conductive materials and many different layers that have to work together, it has to be done very carefully. When Tim first started doing big paint jobs, he’d feel that pressure and go over it in his mind, even having dreams about it. Now he says he looks back on those paint jobs like they’re nowhere near as complex and high pressure as a Lumilor paint job. Electroluminescent paint is a complex coating system of about 7 different layers that all have to be sprayed perfectly in order for them to finally produce light. It’s not easy, but the end product is definitely impressive. No other paint can be made to light up with the flip of a switch. Want to know more about how Lumilor works? 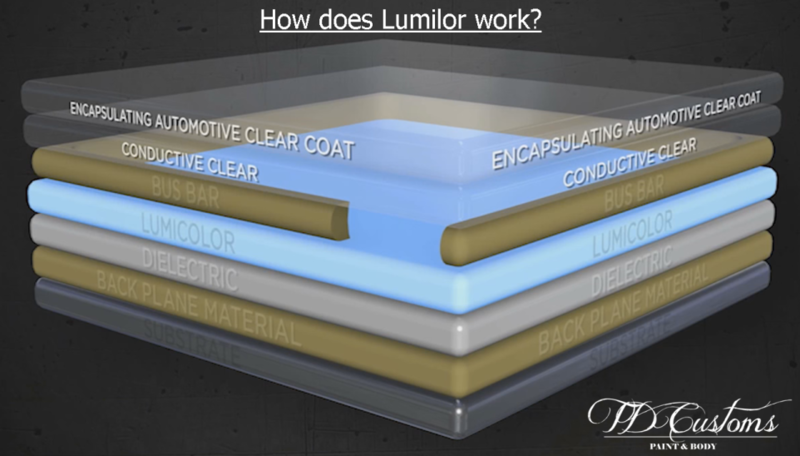 Click the image below to learn more about how the electroluminescent coating system works. 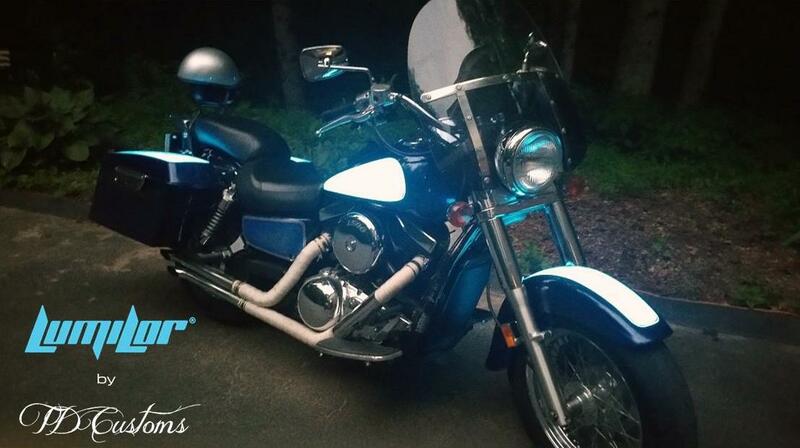 Evening and night rides just got a lot cooler. Bikes can now be seen a lot better at night, and it gets a lot of attention. It’s got that Wow Factor since most people have never seen this paint in person, if at all. Lumilor is great for motorcycles. Not only is it the newest way to customize the look of your bike, it increases your visibility while you’re out riding, making you a lot safer on the roads. Here is how the bike looks in various shades of light. The top left is shown with Lumilor turned off, the middle image is in a garage with the lights on, and the top right is outside at night. See our Lumilor page to learn more about electroluminescent paint, and our Light Up Paint FAQ page for answers to the most commonly asked questions. 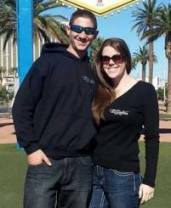 To discuss a Lumilor motorcycle paint job with us, please fill out a Get Lit Request form. No Replies to "The TD Customs Motorcycle"